The water bottle is laser engraved with the image that you see in the photo. Your name or personalized message will be engraved below the image for free. Measures 10.25" tall and 2.75" wide. Holds 26 fluid ounces of your favorite beverage. Single-wall stainless steel construction (non-insulated). Includes a twist-on top and a carabiner clip. You may have one line of text - 20 characters maximum. 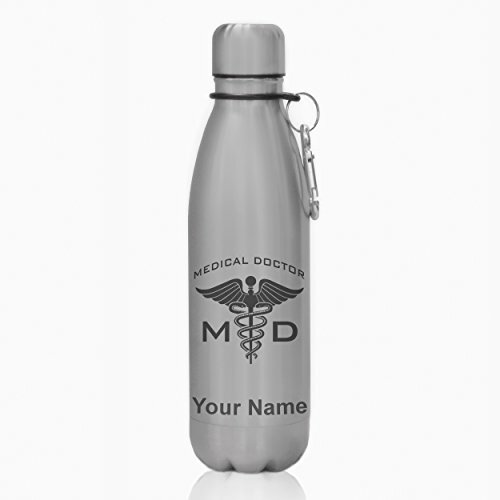 Click the "Customize Now" button to begin customizing your water bottle. If you have any questions about this product by SkunkWerkz, contact us by completing and submitting the form below. If you are looking for a specif part number, please include it with your message.